This Christian Bookstore has an Amazon search box located on the bottom. Opposing views of the false church of the LDS are revealed within the following conspiracy books. Christian Bookstore: (RECOMMENDED BOOKS) Click on the Christian Bookstore recommended books, pictures, or underlines below to read about this Christian bookstore and how to purchase these books at Amazon.com. 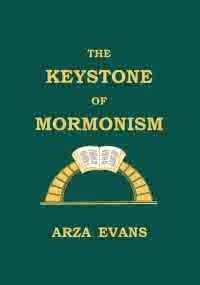 Christian Bookstore PayPal purchase "The Mormon Conspiracy"